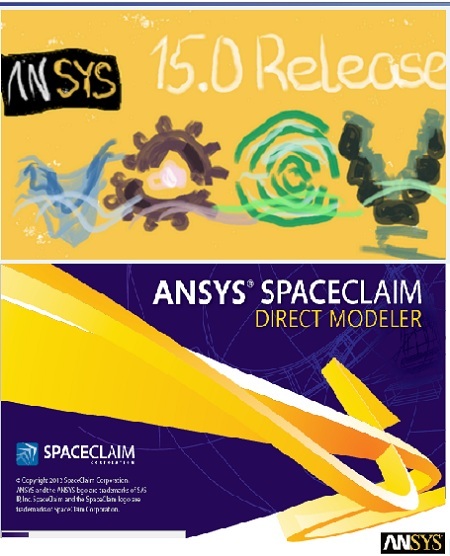 This 15.0.3 release addresses a version 15.0 issue in which ANSYS LS-DYNA failed with a stack overflow issue on the Windows operating system only (not Linux). This release fixes the issue by increasing the stack size used. There are no changes to the binary code, only the stack size limit which is specified when linking the object modules. 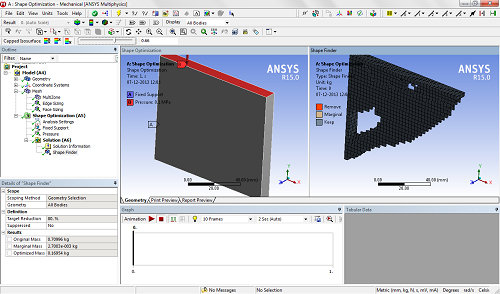 ANSYS Workbench is a flexible framework that supports the industry's broadest suite of engineering technology. It delivers unprecedented productivity with capabilities for integrating native and third-party tools. Special software that you can integrate with ANSYS Workbench to have it do things that aren't built in to the current menus. With a crowbar from simulia procedure is slightly different from previous versions . Username , computer name and path must be latinnitse . All manipulations were carried out the installation as administrator. 1. If you have not previously installed previous versions Ansisa , go to step 3 . 2 . Delete or stop the ANSYS License Server. You can delete a folder ANSYS, Inc. License Manager from the Start Menu. 2.b. 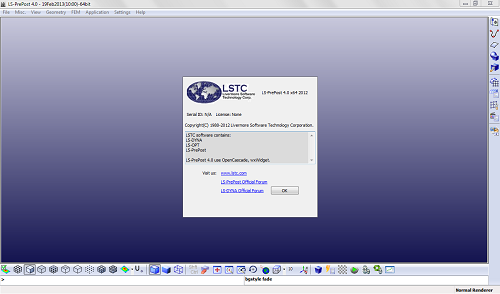 Run services.msc, find the ANSYS License Server, PTP > properties> Startup type = disabled. Reboot. 3 . ANSYS install as usual. Install ANSYS License Manager is not required. 1. Generator to generate a license for your host. Check that the code after the host name in the license match mac address of the network card (Ethernet adapter). If not - generate license manually by pressing N in the first issue of the generator. 2 . Install Products ansys. 3 . Install the license manager . Indicate the generated license file when asked. 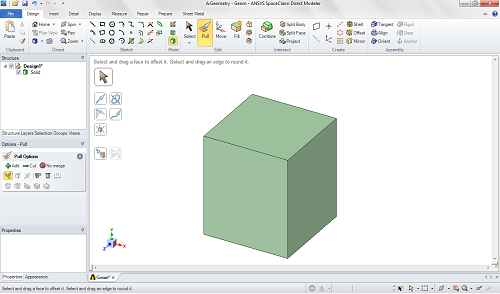 Q: Geometry created in SpaceClaim, does not cling to the ANSYS , produces an error license. A: In the vorkbencha Tools> License Preferences> put option "Share a single license between applications when possible"
Q: Why Input Files from versions 14.0 and 14.5 ? Q: What is WBVM and FDVM? A: WorkBench Verification Manual and Fluid Dynamics Verification Manual. Q: And this is not from scrap magnityud campaign ? A: Yes , another. Come from them - add. Already added . Now there are two . Q: He knocks home ? A: Knocks . Use a firewall. More I can not say yet . Q: How many cores can be a fluent use ? Simulia's lic is nodelocked, I.e. Allows unlimited cores / sessions / tasks / whatever on _local_ machine. In theory. In practice sw itself may cut it all. A: Yes, for multibody parts in WB meshing. In ICEM some algorithms . See the FAQ . Q: What about the settlements in the gpu? Who uses one of them, unsubscribe the results plz. Q: What's new in this version? A: Ansys Help> Ansys, Inc. Release Notes. INFA at the office. site. Q: Projects created in this version will open in 14.5.7 ? A: Probably not . You can also try via File> ****** to load the individual elements of the project , but it's unlikely . Draft versions of the 11 ... 14.5 15.0 open. 11 - through the ******. Q: Can stand multiple versions? A: Yes . See the license file . Q: In the Mechanical APDL no elements and commands What the .. ? A: Sometimes new versions dropping support for obsolete items , and they can not be reached via the GUI. However , in theory, they can still be used by scripts . For details, see Help. Some legacy commands have therefore been undocumented.